Around that time, Europeana – the online digital library – launched, and promptly fell over. Many people on the site were searching for “Mona Lisa” when it crashed. Reference: Hughes, R. (2006). “Things I Didn’t Know”. Knopf. London. I’ve heard this quote repeated elsewhere, but this is the only source I can find. It may, indeed, be apocryphal. 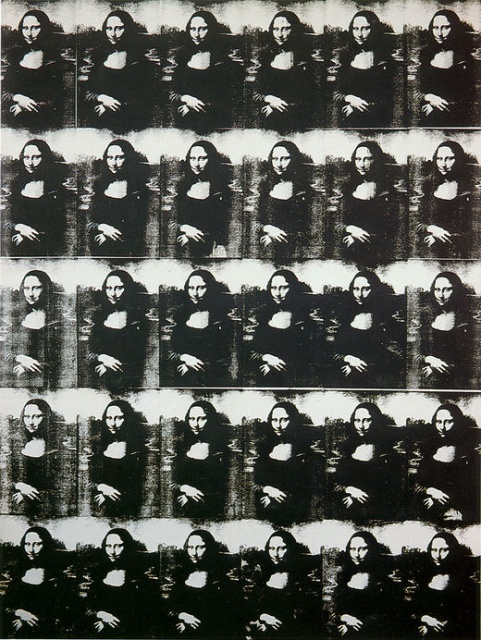 The above image is Andy Warhol’s “Thirty are better than one”.